You’ve probably heard the term “4K video” being thrown around. 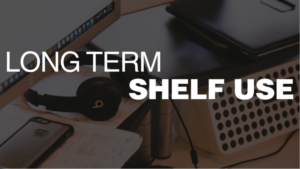 It’s a term that’s grown in popularity recently due to the rise of its implementation into our media devices and becoming more conventional. 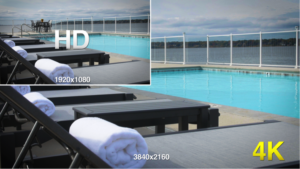 Just like High Definition (HD), 4K is a resolution—twice the resolution of 1920×1080 HD. 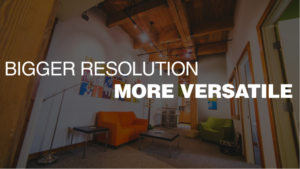 So what new possibilities does this resolution offer for video? For starters, 4K resolution offers more pixels to work with when you edit, allowing you to be more versatile with how you edit your video. For example, let’s say you filmed a nice shot of the sunset at a beach, but in the side of your frame there was an ugly overflowing trashcan sticking out in the right side of the frame. If you edit your 4K footage in an HD timeline in your editing program, you can crop in up to 100% with no quality loss and remove the trashcan from the frame. For even more variety, you can also digitally tilt, pan, and zoom with your footage to create more interesting shots. This cropping technique also applies to when you are filming interviews with a single camera and lens setup. You can film your subject with a medium shot and digitally crop in to get a close-up. What’s more, this technique also gives you the ability in interviews to remove nonwords from your subject, such as “um” and “uh” in between their sentences because you have an A camera and a virtual B camera to cut back and forth to. These tricks with 4K footage can be a big timesaver when you are on set and in post-production or when you have a smaller budget to work with. 4K video is here to stay. Once HD started taking hold in the film industry, nobody went back to Standard Definition (SD). We are beginning to see the same transformation take place between 4K and HD as prices become less and less expensive. There are more 4K televisions, monitors, phones, tablets, and cameras than ever before. Social and business platforms, such as YouTube and Wistia, already have 4K support on their video players as well. If you want to future-proof yourself with video, it’s best to shoot in 4K so it can look the best on the devices you and your clients use or will eventually use. If you’re shooting a new company video about a business that wants to tell their story about what they do, who they are, and the benefits of working with them, and you film in SD as opposed to 4K, what does that say about you as a professional not staying up to the latest standards for video? And what does that say about the company when they host the video on their website for other businesses and consumers to watch? For videos that require longevity, 4K is the way to go. Probably the most obvious and rewarding for me when editing is the quality of 4K footage. The image is sharper, the grain is finer, and the colors are richer. Common problems with lower resolutions, such as moiré are reduced, as well. Seeing a well-produced 4K video image is wonderful to look at because you aren’t straining your eyes to find the details in front of you. A beautifully detailed image isn’t just nicer on the eyes, it’s also much more beneficial for doing virtual effects (VFX), such as keying out a green screen, tracking of an object, and video stabilization. 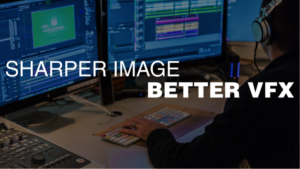 If you’re editing only HD footage, you will likely have to upgrade your hardware to keep up with the demands that 4K footage requires, such as a fast CPU, video card, and hard drive. But if you want to continue as a serious competitor in the video marketing industry, you will have to upgrade these components eventually anyway, so it’s best to do it before your competition does. With the rise in popularity and the benefits 4K video has to offer, it’s easy to see why more and more businesses and people are welcoming in this upgraded resolution to their video production and post-production workflow.